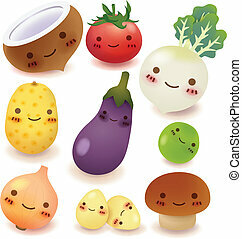 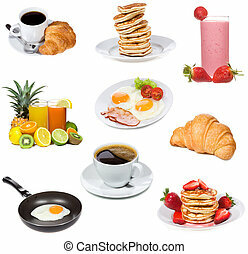 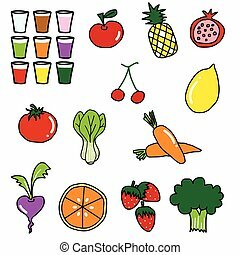 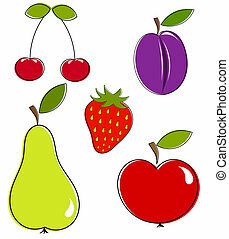 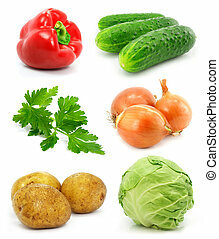 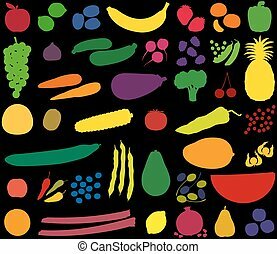 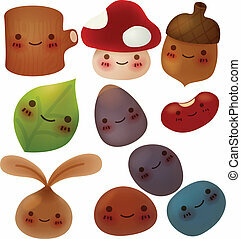 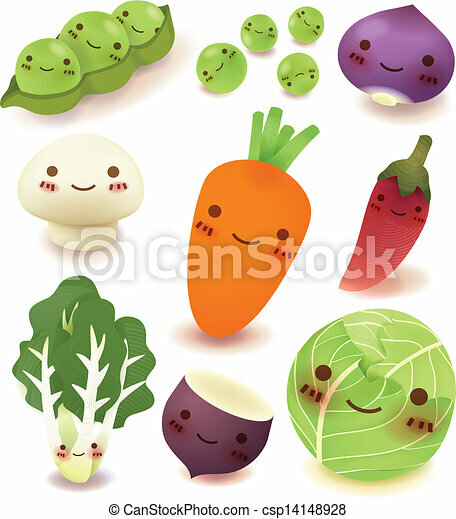 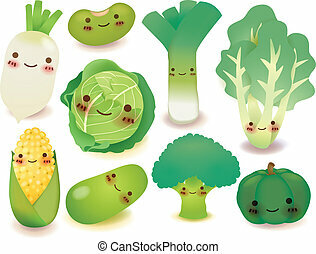 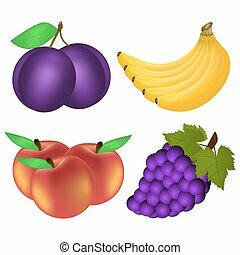 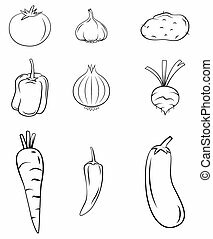 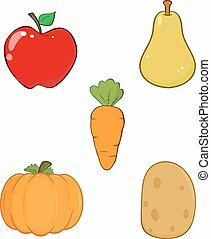 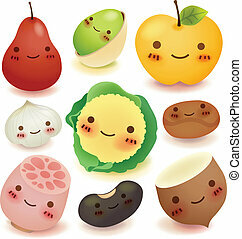 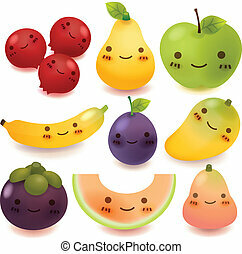 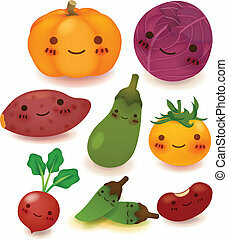 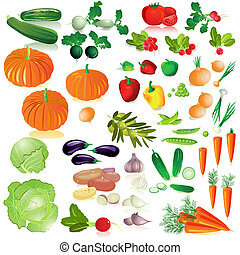 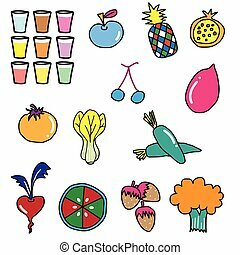 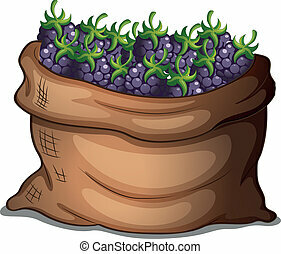 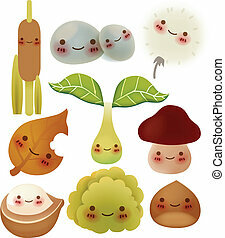 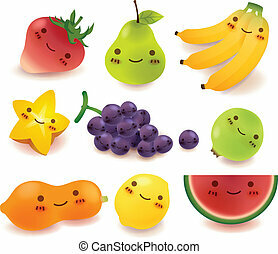 Fruit and vegetable collection vector file eps10. 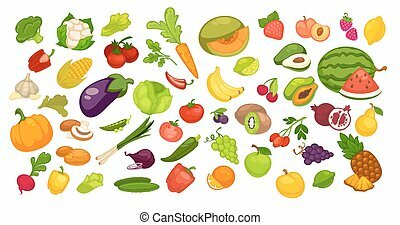 Fruit and vegetable collection. 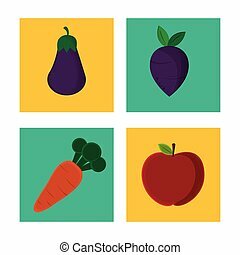 Isolated vector illustration on black background. 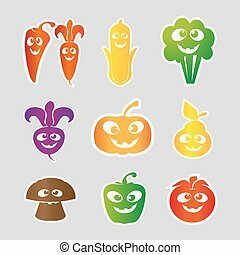 Natural organic fruit and vegetable collection on white. 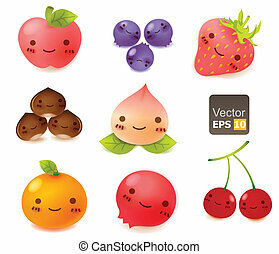 Vector colorful poster of summer and autumn bio products whole and parts near. 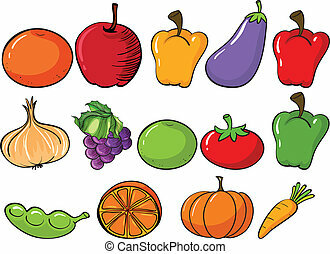 Juicy watermelon, green apple, red pepper, orange pumpkin etc.